Mike Doig encapsulated the words of wisdom meted out by our District Governor, Marion Johnstone, at her visit to our meeting tonight. Speaking from the heart (without notes) Ian Turner gave us some interesting facts about farming and dispelled some of the myths that surround the bad 'rap' that farmers get from the Press. He told us that we have the highest food safety standards in the world and our small population of 4.5 million feed 40 million people around the world. New Zealand farmers milk 6 million cows; farmers in the USA milk 10 million. There are unintended consequences of shooting ourselves in the foot without really trying. Because farrowing crates are illegal in New Zealand, we now import 60% of our pork from countries where this isn't the case, tragic when we consider that New Zealand was self-sufficient in pork 30 years ago. In comparison with the efforts that farmers make to mitigate the effects of farming, he described Transmission Gully as state-sanctioned vandalism which is not doing any good to our waterways and, in particular, the Inlet. Farming his Texel sheep, Ian described the high value of their meat, particularly from the ewes which don't produce the testosterone that makes the meat tougher. He also told us that the nitrates flowing from horticulture might be higher than those flowing from a dairy farm. Sobering thoughts to ponder on. Prior to the meeting, and in very inclement weather, there was a gathering at the bridge at Kakaho Stream to celebrate the continued progress on Te Ara Piko, the club's lasting legacy to the community, constructed in conjunction with Porirua City Council. Celebrating the 25th year of Women's Suffrage in 2018, it was fitting, perhaps, that women are holding leadership roles. Peter Cox thanked all those who had participated in collecting for the Blind Foundation appeal. He will tell us how much was raised in due course. Please can all Paul Harris Fellows wear their pins or medals to celebrate Angus's 50 years in Rotary on 27 November. If you have a bicycle you can donate to the bicycle library, please let Donna know so that she can arrange a pickup. If you have any more feedback for Graeme Blick on the RI resolutions, please let Donna know this week. We can vote on these at our meeting on 13 November. Sailability will be opening their new jetty on Sunday 18 November at 2.00 pm. Do go along to Pataka at 2.00 pm to help them to celebrate. Le Adrienne know so that she can tell Don Manning, for catering purposes. That morning is the Pauatahanui Inlet Clean-Up. Please contact Phillip Reidy if you haven't already offered to help. Bruce is organising helpers for the Pauatahanui School Lamb and Calf Day on Saturday 3 December. If you can offer help, please let him know. Rotary Christmas Plum Puddings are now available to order. If you are interested, you can find all the details here. Remember to send your volunteer hours to President Donna or Secretary Graeme. You may wonder if you have 44 minutes and 11 seconds to spare but trust me, you will be glad you set it aside to watch this video - Rotary's 6th annual #WorldPolioDay event, live from the College of Physicians of Philadelphia, for an update on how close we are to eradicating this disease. And you can get more information here. This and other links that have appeared in previous Updates may well be useful when we front up to Quizmaster, Michael Fagg, next week after the Melbourne Cup Extravaganza. President Donna offered a warm welcome to District Governor Marion and Mike and welcomed Peter and Beverley Lillico back from their Friendship Exchange. She also welcomed Christine Blick and took the opportunity to thank her for all her hard work in preparing the catering for the Suffrage event, and for the special touch of white camelias. Urgent Action! This very Friday go along to Aotea College to support the two College teams going to Yale University for the finals of the World Scholar's Cup. The night will include a live debate, a pub-style team quiz, and mini-games, all for $5 entry. They need to raise a heap of money for the trip - an opportunity of a lifetime to make their city proud. Here's the link to their 'Give a Little' page. Find out more on this clip. The raffle for the evening, topped up by the Board to $600, went to this worthwhile cause. Unfortunately, it clashes with a normal Rotary evening but the Cannons Creek Boing Academy is holding its 2018 Prizegiving and BBQ Dinner from 6.00-8.00 pm on Tuesday 20 November at the Academy. If you would like to go to that event, please contact Craig McGhie on craig.mcghie@ccyct.org.nz or 04 238 2185 by 16 November. President Donna, Adrienne, and Wendy attended the Partners Porirua Youth Awards on 25 October. It was breathtaking to see what our young people are achieving. You can read Wendy's report here. Members who have been fortunate enough to hear Le Art performing live - at our Leadership Awards and the Suffrage event, for example, will be delighted to know that they sang for the Duke and Duchess of Sussex. They also designed their own dresses as you can see here. 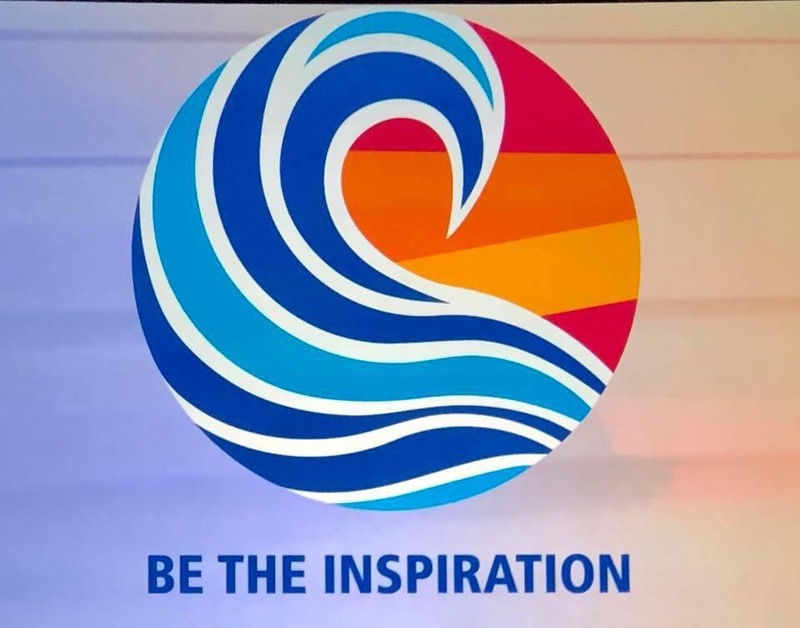 Early promotion for the Rotary International Convention from 1-5 June 2019 in Hamburg, Germany is now available for you to consider. You can find the information here. The October Our Porirua E-Newsletter is hot off the Press. If you don't receive it directly, you can find it here. Please let Adrienne know if you can help with mock interviews at Porirua College on 2 November. Next week is Melbourne Cup Day. The programme for the evening is set out on our Events page here. It's your last chance to swat up on your Polio Eradication knowledge. You might enjoy this short video clip from Bono. This will, of course, be a partners night. Because the Melbourne Cup Day is on the first Tuesday of the month, 13 November will be a night for Planning Meetings. Allan has sent out a roster and full instructions to all who have agreed to help with Pop-Up Shop duties. You can browse through our Pop-up-Shop between 5-10 November to support this initiative. Allan is still looking for books and dvds and Inner Wheel is still collecting good clothing. The Christmas Party for children from Decile 1 schools in Porirua East will be held at Porirua College with the Police on Saturday 24 November from 12.00-4.30 pm. More hands are needed on deck so if you can help, please let Terrie and Ian know. Cath Berryman wasn't sure of the source of this quote but reminded us that 'if you think you are too small to make a difference, try sleeping with a mosquito'! Original generation time 1.5596 seconds. Cache Loaded in: 0.0005 seconds.